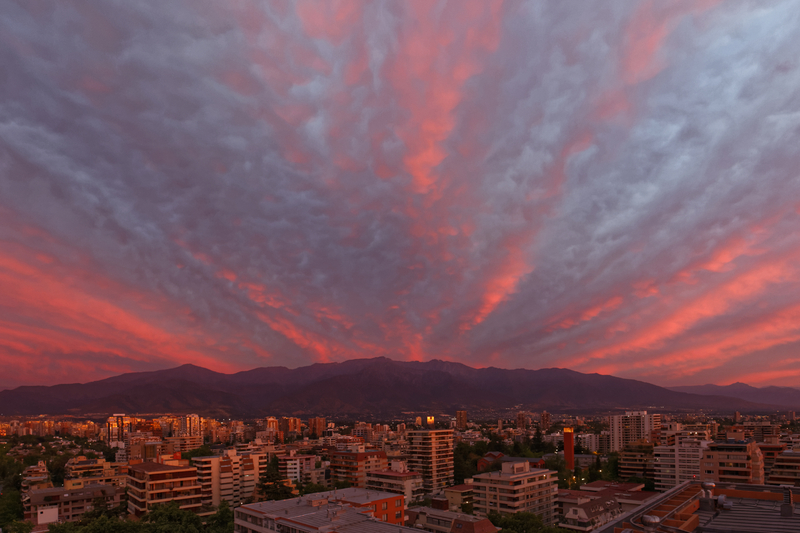 Santiago sunsets can be spectacular! Here is a scene from the roof of my apartment building. Beautiful shot. I thought for a moment you were facing East into the Andes main ridge, but there are mountains to the West aren’t there? Just checked with a compass, about 120 degrees ESE. But we do have mountains to the west as well. Santiago is pretty much in a bowl!